Our research group runs a JupyterHub installation on a server. This means running Jupyter in the web browser, mixed up with all other internet stuff. 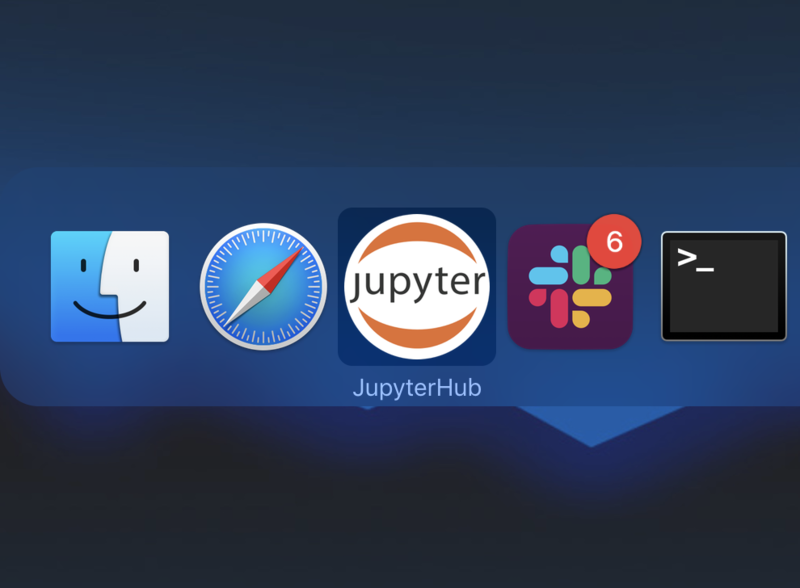 Download a Jupyter icon, such as this one. Set up your Fluid Jupyter app.